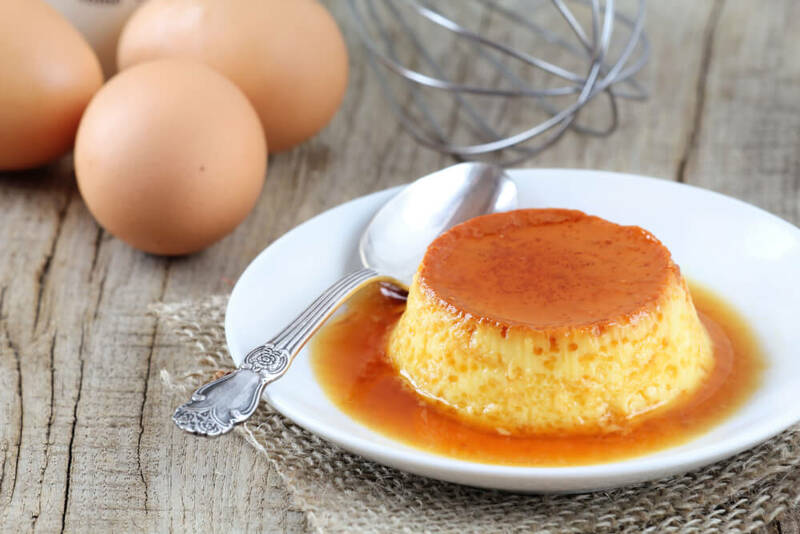 Popular in Spain, Mexico, South America and these days many other countries, this authentic Spanish flan recipe is a classic. This silky smooth, sweet dessert goes perfectly after any type of meal. It's rich but not too heavy. You can serve it as it is or with some whipped cream. 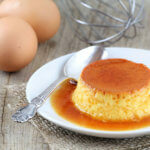 An authentic Spanish flan recipe, or Mexican flan recipe, whichever you know it as, is simple to prepare. First you make the caramel syrup by melting sugar, then combine eggs with two kinds of milk and some vanilla to make the custard mixture. The whole thing then needs to bake in the oven for an hour until set. It should be quite set, which means a bit jiggy still. Cut the Spanish flan into 6 pieces to serve. Another alternative is to use individual little pots to make individual portions. Either way is fine. The smaller ones might have a shorter cooking time so keep an eye on them while they're in the oven. Keep the baking dish hot in the oven while you are making the flan, so when you do pour the caramel syrup (melted sugar) into it, it won't harden too fast. When you're melting the sugar, you should be patient and keep the heat very low because otherwise the sugar may brown too fast and end up burnt. Don't worry if there are little lumps of sugar after making the syrup because they are going to dissolve while the flan bakes. Melt the sugar in a pan over a low-medium heat until it's dissolved and golden. Now pour the golden mixture into a round, 23cm, ovenproof, glass dish. Turn it so the liquid coats the bottom and sides of the dish. Stir in the evaporated milk, condensed milk and vanilla. Now pour the egg mixture into the dish and cover it with foil. Bake for an hour or until quite set. Let it completely cool, then turn onto a dessert plate to serve. If there is any caramel sauce left in the dish, pour it over the top of the flan.